As someone who has been at TT for more than just a couple of years, I have seen various CTOs and product managers come and go. One common trend was always this: in the world of limited engineering resources and competing priorities, risk management features would typically take a back seat to the high-performance demands of the end user who was routing orders on TT’s platform. Historically, I guess that made some sense. At the end of the day, screen sales drove the business, and screen sales weren’t driven by the demands of the risk administrator. Only recently has the product management responsibility for risk and administration at TT become my own. So, now it’s my job to give the risk administrator a voice. Call it fate or bad luck (depending on the day), but this responsibility happened to coincide with some major risk management blow-ups resulting in quite a bit of regulatory reform. This, in turn, has resulted in rising compliance concerns and a major overhaul of how FCMs view risk management. So, the role I’m performing now looks very different than it would have five years ago at TT. Does your system do pre-trade risk checking per user? Can fat-finger limits be configured? Can I configure a daily loss limit? I’m concerned about high-frequency trading algorithms; how do I prevent a trader from flooding the market with orders? I have my own sophisticated system for evaluating risk exposure; how do I use that system to programmatically shut off trading at the user, account or account group level on your platform? We have a customer that hosts their own TT trading environment on their own servers; how can we ensure that we have exclusive risk management control over that trading environment? There are some very real risk and compliance concerns that did not exist before—or if they existed, they have since been amplified. 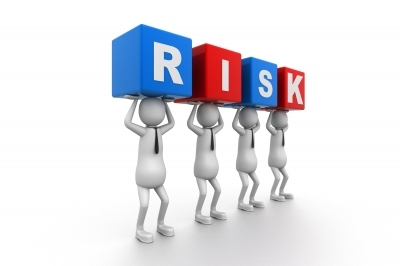 Proper risk management practices are more critical than ever. For starters, TT has taken notice. What was once an afterthought has now become a major driver for us. We understand the importance of having multiple types and levels of risk control on our platform. Implementing these on our existing and next-generation platforms is something that sits atop our priority list. Risk management has found its voice and its place at TT. As I meet with some of the larger FCMs who currently provide TT’s software to clients, I hear many of the same stories. Mainly, that TT is just one of many vendors that they offer. Managing risk across all platforms is a challenge, and they’ll gladly take any opportunity they can to consolidate the number of systems they have. For us, the message is clear. We must make our software more flexible and easy to integrate with the FCMs’ existing risk management systems. They are looking for API functionality to get data in and out of TT’s platform. Pre-trade risk checking on TT isn’t valuable if it isn’t encompassing trades that are happening on other systems or on the floor. Because TT is just one of several systems, real risk management is happening outside of TT’s platform, often in the FCMs’ proprietary systems. So, What is the Role of the Vendor? Our response to this is to build flexible API functionality that provides a means for integrating TT’s software into other systems and processes. We’re doing that with products like TT API, and a brand new TT User Setup Risk API. And, when necessary, we must evolve our risk management features. We just launched, among other things, order throughput limits on our gateways, and we’re in the process of introducing new account and account group-based risk checking features into a platform that has historically been trader-based. Meanwhile, we will continue to develop new and compelling products, such as ADL™, to provide end users with advanced trading solutions. Challenging times? Yes. But, for me, it creates an exciting opportunity to work closely with our clients to meet their changing needs. We either become flexible and adapt, or we must be replaced. If we can’t help to minimize their risks, then our trading features won’t matter. As of late, I’ve been inspired by the ability of our engineers to build platform-wide solutions into our current trading architecture. Look for more on this in future blog posts.